Alene Dunlap Smith and Paul Smith Award for Long Term Commitment to Historic Preservation. Distinguished Outreach Professor, University of Arizona. Sheridan, T. E., Charnley, S., & Nabhan, G. (2012). Stitching the West Back Together: Conserving Working Landscapes and Biodiversity in the American West . Summit Book Series, University of Chicago Press. Sheridan, T. E., Koyiyumptewa, S. B., Daughters, A., Brenneman, D., Kuwanwiswma, L., & Lomayestewa, L. W. (2015). Moquis and Kastiilam: Hopis, Spaniards, and the Trauma of History . Tucson: University of Arizona Press. Sheridan, T. E., Sheridan, T. E., Koyiyumptewa, S. B., Koyiyumptewa, S. B., Daughters, A., Daughters, A., Brenneman, D. S., Brenneman, D. S., Ferguson, T. J., Ferguson, T. J., Kuwanwisiwma, L., Kuwanwisiwma, L., Lomayestewa, L. W., & Lomayestewa, L. W. (2015). Moquis and Kastiilam: Hopis, Spaniards, and the Trauma of History, Volume I, 1540-1679 . Tucson: University of Arizona Press. Sheridan, T. E. (2012). Arizona: A History, Revised Edition . Sheridan, T. E., Broyles, B., Hartmann, G., Nabhan, G., & Thurtle, M. C. (2012). Last Water on the Devil's Highway: A Cultural and Natural History of Tinajas Altas . U of Arizona Press. Sheridan, T. E. (2011). Arizona: A History, Revised Edition . University of Arizona Press. Sheridan, T. E. (2012). Chapter 14,. U of Chicago Press. Sheridan, T. E. (2012). Section 2, Collaborative Conservation: Introduction. U of Chicago Press. Sheridan, T. E. (2012). Section 4: Case Studies of Working Ranches: Introduction. Sheridan, T. E. (2012). Spotlight 11.1: The Madison Valley Ranchlands Group. U of Chicago Press. Sheridan, T. E., & Nabhan, G. (2012). Section 5: Emerging Approaches to Conserving Working Landscapes. U of Chicago Press. Sheridan, T. E., & Reeves, A. (2012). Spotlight 12.1: Ranching and the 'Death Tax': A Matter of Conservation as Well as Equity. U of Chicago Press. Sheridan, T. E., & Sayre, N. (2012). Chapter 1,. U of Chicago Press. Sheridan, T. E., Charnley, S., & Nabhan, G. (2012). Conclusions. U of Chicago Press. Sheridan, T. E., Charnley, S., & Nabhan, G. (2012). Introduction, Stitching the West Back Together. U of Chicago Press. Sheridan, T. E., Charnley, S., & Sayre, N. (2012). Chapter 2,. U of Chicago Press. Sheridan, T. E., Sayre, N., & Seibert, D. (2012). Chapter 4,. U of Chicago Press. Sheridan, T. E. (2012). Introduction: Crossroads, Last Water on the Devil's Highway. U of Arizona Press. Sheridan, T. E., & Broyles, B. (2012). Chapter 3, "First Europeans to Forty-Niners. U of Arizona Press. Sheridan, T. E., Broyles, B., & Hartmann, G. (2012). Chapter 1,. U of Arizona Press. Sheridan, T. E., Broyles, B., Hartmann, G., Nabhan, G., & Thurtle, M. (2011). Last Water on the Devil's Highway: A Cultural and Natural History of Tinajas Altas. Sheridan, T. E., Koyiyumptewa, S. B., Daughters, A. T., Ferguson, T. J., Kuwanwisiwma, L. J., Brenneman, D. S., Lomayestewa, L., Sheridan, T. E., Koyiyumptewa, S. B., Daughters, A. T., Ferguson, T. J., Kuwanwisiwma, L. J., Brenneman, D. S., & Lomayestewa, L. (2013). Moquis and Kastiilam: Coronado and the Hopis. Journal of the Southwest , 55(4), 377–434. Sheridan, T. E. (2011). The Other Arizona, Redux. Journal of the Southwest . Sheridan, T. E., Nabhan, G., Chambers, K., Tecklin, D., & Perramond, E. (2011). Ethnobiology for a Diverse World Defining New Disciplinary Trajectories: Mixing Political Ecology with Ethnobiology. Journal of Ethnobiology . Sheridan, T. E. (2012, 2012-01-01). Arizona's Ranching Heritage . AZ Section, Society for Range Management. Tucson. Sheridan, T. E. (2012, 2012-01-01). Landscapes of Fraud . Opening, Mapping Arizona Exhibit. UA Main Library. Sheridan, T. E. (2012, 2012-02-01). Altar Valley Heritage Alliance . Cowboy Poetry Gathering. Elko, Nevada. Sheridan, T. E. (2012, 2012-02-01). Arizona: A History . Friends of Arivaca Public Library. Arivaca, AZ. Sheridan, T. E. (2012, 2012-02-01). Arizona: A History . Tubac State Park. Sheridan, T. E. (2012, 2012-02-01). Arizona: A History . Western National Parks Association. Oro Valley, AZ. Sheridan, T. E. (2012, 2012-02-01). Jaguars, Ranchers, and the Urban Gaze . Cowboy Poetry Gathering. Elko, Nevada. Sheridan, T. E. (2012, 2012-02-01). Native Peoples of the Southwest . Cowboy Poetry Gathering. Great Basin College, Elko, Nevada. Sheridan, T. E. (2012, 2012-02-01). THE DESERT and John C. VanDyke . AZ Centennial. UA Centennial Hall. Sheridan, T. E. (2012, 2012-02-01). The Sleeping Giant vs. The Politics of Fear: Arizona's Hispanic Society in the Twenty-First Century . 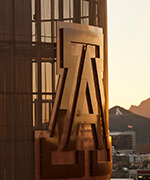 UA Library AZ Centennial Lecture Series. UA Main Library. Sheridan, T. E. (2012, 2012-02-01). Wait, Arizona Has A History . Zocalo Public Square. Tucson. Sheridan, T. E. (2012, 2012-03-01). Arizona History at the Centennial . Tucson Festival of Books. UA. Sheridan, T. E. (2012, 2012-03-01). Arizona's Latino Population and the New Politics of Fear . Tucson Festival of Books. UA. Sheridan, T. E. (2012, 2012-03-01). Arizona's Ranching Heritage . Hereford Natural Resources Conservation District US/Mexico Border Ranch Tour. Naco, AZ. Sheridan, T. E. (2012, 2012-03-01). Arizona: A History . Tohono Chul Park, Tucson. Sheridan, T. E. (2012, 2012-03-01). Who We Are: Arizona's Culture, Characteristics, and Commerce and What They Mean for Today . Flinn-Brown Civic Leadership Academy. Phoenix, AZ. Sheridan, T. E. (2012, 2012-04-01). Arizona: A History . Western National Parks Association. Oro Valley, AZ. Sheridan, T. E. (2012, 2012-04-01). National Parks and U.S. Food Security . National Parks and Food Security Workshop. Amado, AZ. Sheridan, T. E. (2012, 2012-05-01). Arizona Centennial . Northern Arizona Book Festival. Flagstaff, AZ. Sheridan, T. E. (2012, 2012-05-01). Arizona: A History . Santa Cruz Nature and Heritage Festival. Rio Rico, AZ. Sheridan, T. E. (2012, 2012-09-01). Arizona's Culture and Character . Flinn-Brown Civic Leadership Academy. Phoenix, AZ. Sheridan, T. E. (2012, 2012-09-01). Arizona: A History . Friends of the Arivaca Library. Arivaca, AZ. Sheridan, T. E. (2012, 2012-10-01). Arizona: A History . Arizona Historical Society Volunteer Training. Tucson, AZ. Sheridan, T. E. (2012, 2012-11-01). Arizona Labor History . Finn Fest/USA Festival. Tucson. Sheridan, T. E. (2012, 2012-11-01). Crossing Borders: Then and Now . Finn Fest. Tucson. Sheridan, T. E., & Koyiyumptewa, S. (2012, 2012-04-01). Moquis and Kastiilam: Hopi Oral Traditions and the Trauma of History in Hopi Society . Society for American Archaeology Annual Meeting. Memphis, TN. Sheridan, T. E., Koyiyumptewa, S., & Ferguson, T. (2012, 2012-10-01). Moquis and Kastiilam: The Hopi History Project . Pueblo Indian Studies Symposium. Albuquerque, NM. Sheridan, T. E. (2011, 2010-01-01). Ambigous Icons: Spanish Colonial Missions of the Pimeria Alta . Southwest Symposium. Hermosillo, Sonora, Mexico. Sheridan, T. E. (2011, 2010-04-01). Landscapes of Fraud: Mission Tumacacori, the Baca Float, and the Betrayal of the O'odham . Association of Borderlands Studies. Reno, Nevada. Sheridan, T. E. (2011, 2010-06-01). Tucson as Multi-Ethnic Community . Dedication of Memorial for Tucson's Historic Cemetery, 1862-1875. All Saints Cemetery, Tucson. Sheridan, T. E. (2011, 2010-09-01). Joined at the Border, Joined at the Hip: Arizona's Ambivalence about Mexico . Arizona at the Crossroads. Gallagher Theater, UA. Sheridan, T. E. (2011, 2010-10-01). Sonora Querida . SBS Honors Convocation. UA. Sheridan, T. E. (2011, 2011-04-01). The Ghost of Macho B: Working Wilderness and Failed Policies in a Border Valley . Society for Environmental History Annual Meeting. Phoenix, AZ. Sheridan, T. E. (2011, 2011-05-01). Los O'ohdam y la Producion de Espacio . Dialogo Binacional de las Culturas Indigenas Mexico-EUA, Cultural Cabanas. Guadalajara, Mexico. Sheridan, T. E., & Camou, E. (2011, 2011-01-01). Trails Through History: Sonora . Malpai Borderlands Group Science Meeting. Douglas, Arizona. Sheridan, T. E., Koyiyumptewa, S., & Ferguson, D. T. (2011, 2011-04-01). Moquis and Kastiilam: The Hopi History Project . Anthropology Lecture Series. Sheridan, T. E. (2010, 2009-02-01). Embattled Ranchers, Endangered Species, and Urban Sprawl: The Political Ecology of the New American West . I-CARES Speakers Series. Washington University, St. Louis, MO. Sheridan, T. E. (2010, 2009-03-01). Landscapes of Fraud: Mission Tumacacori, the Baca Float, and the Betrayal of the O'odham . Tubac Historical Society. Tubac, AZ. Sheridan, T. E. (2010, 2009-06-01). Tale of Two Watersheds: Time and Space in the Arizona-Sonora Borderlands . NEH Summer Seminar: History of Borderlands. UA. Sheridan, T. E. (2010, 2009-08-01). Landscapes of Fraud . Southwest Series. Santa Fe, NM. Sheridan, T. E. (2010, 2010-05-01). Embattled Ranchers, Endangered Species, and Urban Sprawl . Does the Environment Have a Right? : Critical Perspectives on Environmentalism and the Left. University of Chicago. Sheridan, T. E. (2008, 2008-01-01). The Arizona Common Ground Roundtable . Annual Meeting of the Arizona Society for Range Management. Prescott, AZ. Sheridan, T. E. (2008, 2008-02-01). Embattled Ranchers, Endangered Species and Urban Sprawl: The Political Ecology of the New American West . Invited Lecture. National University of Ireland, Maynooth Campus. Sheridan, T. E. (2008, 2008-03-01). Landscapes of Fraud: Mission Tumacacori, the Baca Float and the Betrayal of the O'odham . ASM Lecture Series. Tucson, AZ. Sheridan, T. E. (2008, 2008-04-01). Political and Agrarian Struggles in Mexico . Rocky Mountain Conference on Latin American Studies. Flagstaff, AZ. Sheridan, T. E. (2008, 2008-06-01). Landscapes of Fraud: Mission Tumacacori, the Baca Float, and the Betrayal of the O'odham . Arizona Archaeological and Historical Society Lecture Series. Tucson, AZ. Sheridan, T. E. (2008, 2008-06-01). Ranch Conservation in Pima County . AZ Historical Preservation Conference. Rio Rico, AZ. Sheridan, T. E. (2008, 2008-11-01). Jaguars, Ranchers, and the Urban Gaze on the U.S.-Mexico Border . Annual Meeting of the American Anthropological Association. San Francisco. Sheridan, T. E. (2008, 2009-02-01). Landscapes of Fraud: Mission Tumacacori, the Baca Float, and the Betrayal of the O'odham . Tumacacori National Historical Park Lecture Series. Nogales, AZ. Sheridan, T. E. (2008). Moquis and Kastilam: A History of the Hopi Indians and the Spaniards. Sheridan, T. E. (2008). Saving the Wide Open Spaces: The Conservation of Biodiversity and Working Landscapes in the American West. Sheridan, T. E. (2008). Stockraisers, Predators, and the Urban Gaze. Sheridan, T. E. (2010). Arizona: A History (Revised Edition). Sheridan, T. E. (2010). Moquis and Kastilam: A History of the Hopi Indians and the Spaniards. Sheridan, T. E. (2010). Saving the Wide Open Spaces: Collaborative Conservation and Working Landscapes in the American West. Sheridan, T. E. (2011). Beyond Stakeholders and the Zero-Sum Game: Towards Community-Based Collaborative Conservation in the American West. Sheridan, T. E. (2011). Co-led fieldtrip to U.S.-Mexico border at Lukeville for the Society of Environmental History Annual. Co-led fieldtrip to U.S.-Mexico border at Lukeville for the Society of Environmental History Annual Meeting in Tempe, AZ on 4/17/11. Sheridan, T. E. (2011). Emerging Approaches to Conserving Landscapes. Sheridan, T. E. (2011). I researched and wrote the text for the exhibit ... at the Arizona Science Center in Phoenix, AZ.. I researched and wrote the text for the exhibit ... at the Arizona Science Center in Phoenix, AZ. Sheridan, T. E. (2011). Madison Valley Ranchlands Group. Sheridan, T. E. (2011). Moquis and Kastilam: Documentary History amdRelations between the Hopi Indians and the Spaniards. Sheridan, T. E. (2011). Ranching and the "Death Tax": A Matter of Conservation as well as Equity. Sheridan, T. E. (2011). Stitching the West Back Together. Sheridan, T. E. (2011). Stitching the West Back Together: Collaborative Conservation and Working Landscapes in the American West. Sheridan, T. E. (2011). The Sonoran Desert Conservation Plan. Sheridan, T. E. (2012). Interviewed by AZ Public Media on Arizona's Dust Bowl. Portions of interview incorporated into ARIZ. Interviewed by AZ Public Media on Arizona's Dust Bowl. Portions of interview incorporated into ARIZONA'S DUST BOWL documentary that aired in conjunction with Ken Burns' documentary THE DUST BOWL. Sheridan, T. E. (2012). Moquis and Kastiilam: Hopis, Spaniards, and the Trauma of History, Vols. I and II. Sheridan, T. E., & none, . (2011). Wilderness and Working Landscapes: The Lessons of Club Cabin. Sheridan, T. E. (2011). Is Arizona a Microcosm of American Politics or an Outlier?. Sheridan, T. E. (2008). Colliding Worlds: Southeast Arizona at Contact.